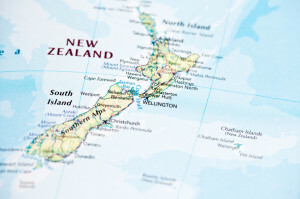 New Zealand’s Ministry for the Environment is progressing a national product stewardship scheme for waste electrical and electronic equipment (commonly referred to as e-waste or WEEE) for the country. Drawing from international experience with WEEE and actively engaging with stakeholders in NZ and Australia will be essential to the project (which we’ll designate as #eWasteNZ or eWasteNZ where possible). A key deliverable of the project will be a “White Paper” to the Ministry with advice on, and recommendations for, implementation of a preferred option for the long-term management of WEEE in New Zealand. This will include recommendations on the scope of any potential product stewardship scheme(s) for WEEE. The information and recommendations from this project will contribute directly to the policy analysis being undertaken by the Ministry on priority waste streams for product stewardship intervention under the Waste Minimisation Act 2008 (WMA). refrigerants and other synthetic greenhouse gases. A call for submissions on the discussion paper closed 2 July 2014. Following consultations, the costs and benefits of a range of options and additional stakeholder input will be considered. New Zealand’s focus has traditionally been on voluntary product stewardship approaches, and 11 voluntary product stewardship schemes have been accredited to date. An overview of the accredited schemes is included in the discussion paper. The #eWasteNZ project is being delivered through a partnership of companies, led and managed by SLR Consulting, with MS2 as technical lead and supported by Synergine and Equilibrium. MS2 is a Foundation Member of the GlobalPSC and Director Russ Martin also serves as our CEO. Stakeholders will be notified shortly of consultation details and invited to participate. For further project details, email ewasteNZ@slrconsulting.com.